Director. Martin Scorsese. Cast. Andrew Garfield (Fr. Sebastião Rodrigues), Liam Neeson (Father Cristóvão Ferreira), Adam Driver (Fr. Francisco Garrpe), Yōsuke Kubozuka (Kichijiro), Issey Ogata (Inquisitor Inoue), Tadanobu Asano (Interpreter), Nana Komatsu (Christian Villager #1), Shinya Tsukamoto (Mokichi). Language English. US/Taiwan/Mexico. Drama. Cert. 15. Duration 2hr 41mins. Silence refers to the God unheard. If your listening, the bat kol that boundary of the divine voice is silent. Over time everlasting God has been silent and in the words of Jesus he alone speaks of the Lords guidance of supreme glory and seeks our passage into the kingdom of God. That is of course a personal view and one about pursuit of truth. 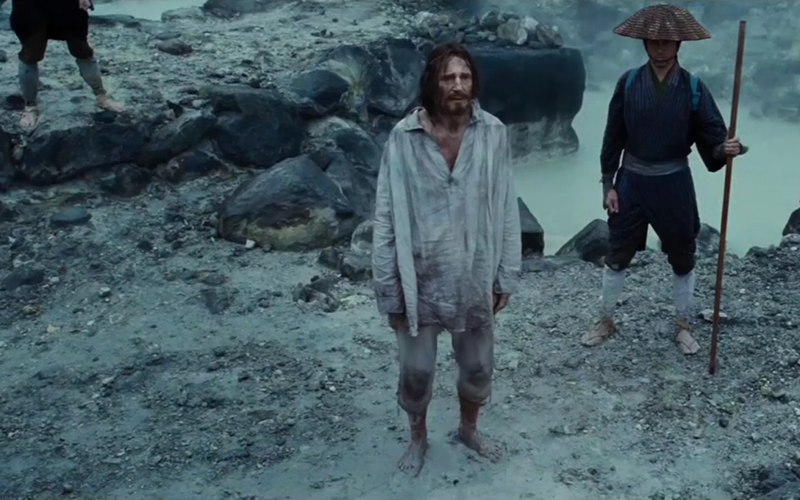 Set in the 17th Century, the film follows two Jesuit priests who face violence and persecution when they travel to Japan to find their missing mentor (Liam Neeson) and propagate Christianity. 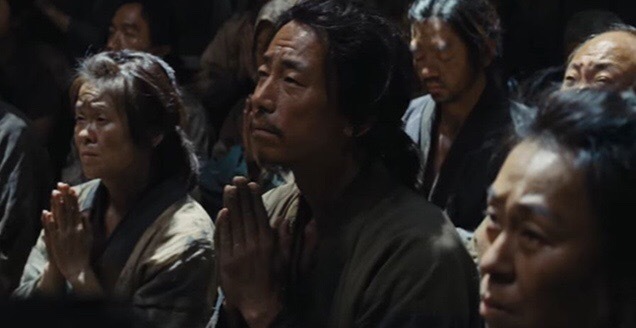 The priests, Sebastião Rodrigues (Andrew Garfield) and Francisco Garrpe (Adam Driver), arrive in a country that, under the Tokugawa shogunate, has banned Catholicism and forbidden almost all foreign contact. There they witness the persecution of Japanese Christians at the hands of a government that wishes to purge Japan of all western influence. Thousands have already been executed and they eventually convince the Jesuit leader Cairan Hinds, to allow them to travel from Europe to Japan, in the prologue as we are introduced to the subject of finding out the actual whereabouts and circumstances of Liam Neesons fate. It is through Andrew Garfields as Rodriguez a Portuguese Jesuit Priest who along with Garrpe played by a gaunt and frail looking Adam Driver, the main bulk of the post history of Christianity’s penetration of Japan is told. By enlisting the very dubious help of a guide played by Yōsuke Kubozuka (Kichijiro), who features throughout and is hugely integral as a link between the races, they enter Japan in the remotest island paradise, ironically verdant, beautiful and incongruously capable of sustaining a civilisation without hindered even of any kind. By Gods design. They instead reach a place where the remaining Christian Inhabitants are isolated unable to trade or move and are in a despairingly wretched place barely able to eke out an existence. There are parallel and also isolated village communities which also do not communicate between each other as their memories and fears are ofspies and the inquisitor of severe repercussions that may manifest. The ‘return’ of missionaries in the form of the brash, over confident, singularly fixed and uncompromising Rodriguez who is the opposite of the questioning, more grounded, philosophical and extentialist Garrpe, gives the Japanese Christians Renewed hope as Kichijiro introduces them to a group of villagers literally on landing. They are welcomed into this fragile barely existing remote territory and the Christian faith is uplifted by their very presence and re-ritualising of the faith. Even confession – that extremely dubious form of thetorical sin and absolution (meaning it is not in the gift of anyone to forgive as only ‘God’ can be asked to forgive) – is performed. Ritualisation and order is established in – and this is fundamental to this religiousity – belief if only in formalised ‘uncertainty’ – and reproach is wasted within the confines of Jesuit minds and Catholicism. That symbolises why the whole embarkation in mission in any age is subjected to ridicule, resentment, manipulation and scorn. The symbolic universality is fixed not flexible in the human hands and ungodlike. Image and theatre which Martin Scorsese is well practiced in is about – as religion is – about storytelling – not about the sciences of universality and human values inherently the same and equal – is employed as a narrative slightly old school as voice over and flashback but impeccably conveyed. The elucidation in gesture and mannerisms and enunciation of the Japanese and American, Irish Actors is brilliantly delivered. Seldom in modern cinema have I been alerted to the importance of the delivery of language and line as a primary and essential aspect of dramatic filmmaking (Macbeth was the last time when I was conscious of making the required mental shift to adapt to the Scots accents and cadences within the Shakespearian rhythms of speaking as storytelling which worked for me but not as I said in that review for American friends) and as a consequence it makes this story very penetrable at all the levels it sets out to achieve. The assurance and confidence of Rodriguez is gradually changed and his character comes across doubt internally building and shaking beliefs at their fundamental level as they do in all that acknowledge it as humans. In the desperation of one young Priest asking God for the truth of the suffering in Japan, we realise the contemporary, familiar desperation known to the faithful and the secular, the atheist, we have no divine right to this life we embrace and share. Less do we know it’s purpose and recoil in the conflict of good and evil in the presence of a creator in silence. Silences are the root and branch of religious devotion and it is to the interior self the analysis brings determination and externally that alteration exists when the ‘real’ world is continuing on its vile course of inhuman acts, unable to listen to the guidance for all. In one moment it is apparent ‘God’ speaks to Rodriguez. In a moment when his faith is tested at the very threshold of his advocacy, in which denial becomes a very real necessity or choice, he is given the advice that forgiveness shall be forthcoming no matter what choice he makes. It is an Abrahamic moment of judgement. Allow the Son to die to live. Martin Scorsese has crafted a very profound and commanding film speaking ironically of the place of Faith religions in Japan and responding to the questions asked by placing different polarities of a point of view on religion. He does it mainly through the cost of Priests and Christian followers of the infiltration to Japan in early 1600 of missionaries when confronted by National identity. It is when they are called on to reject their faith publicallyband humiliatingly they begin to focus on the Silence. First of these to face the call to reject their religion and faith is Father Ferreira played by Liam Neeson. How come though it takes a no fee director and a cast on a pittance in Hollywood terms and maybe several other chips cashed in production, technical etc, wise, to make a film of this magnitude. It is not a crowd pleaser nor is it pandering to convention in telling – in a year 75 years after the Japanese sinking of several submarines and vessels off Japan causing the loss of thousands of American Servicemen and women? – this narrative which has many many aspects which in any forward thinking civilised community can open up several strands of debate on our relationships in and through religions and with difference and how it is apparent that all choices are of a sacrificial kind. A loss to gain Not a gain to gain and then ultimately loose again. 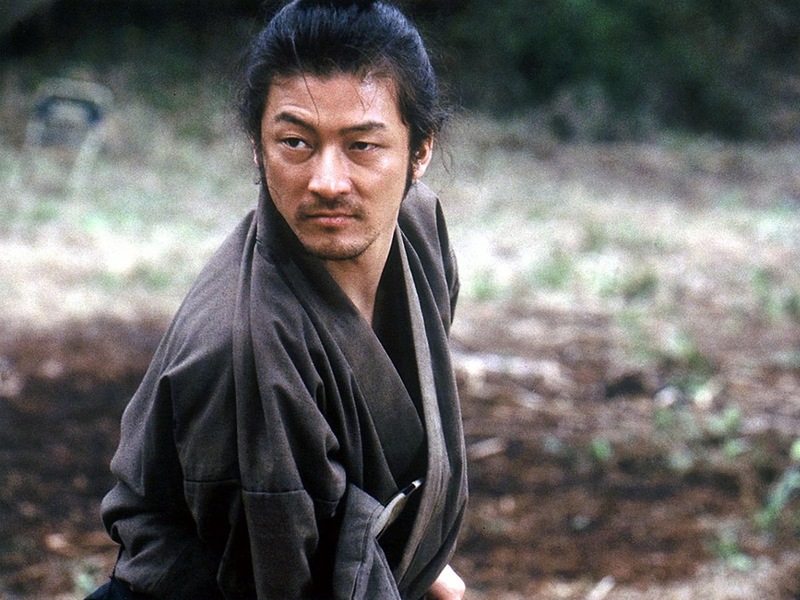 The Japanese inquisitor Inouye, brilliantly, fulsomely, played by Issei Ogata, is almost a Devil incarnate playing with the emotions of Rodriguez when eventually they meet. In several scenes, Inouye tells him that Christianity may be right for Europe, but it is wrong for Japan. Inouye is a supreme leader whose actions he characterised as symbols of his state. His state and control therefore has no need of religion, it has its own as Liam Neeson explains, him having taken the Priest road less travelled and points to the Sun as their Son of God meaning all is in nature to employ gratitude and self identity which invokes astrology and cosmology as brothers in the science of discovery. 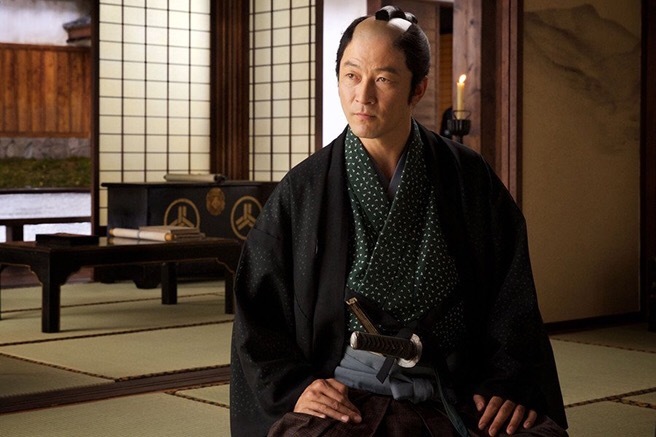 Inouye is mercurial and believable, a portray creating a real sense of Nationhood and most of these Japanese actors male and female deploy a level of gravitas and characterisation which Scorsese it seems has enabled them to ‘act’ to be unafraid of employing traits and characterisation to inhabit the part and screen. It is absent in a significant part in my view. Of that later. By behaving as a evuncular wise old man with only his nation in mind and feigning sympathy – knowing the universality of religion God or no God undermines regime rule totally. I think of the new polemic in Poland where feminism is challenged by a virtually statecrun monopoly on religion by Catholic based faith religious, forcing women who wish to have an abortion to underground risks and 10,000 women a year seeking abortions outside Poland. There are now Welfare groups unattached to the issue of abortion being set up to recalibrate woman’s identity through yoga, fitness and general conversation and in relaxing environments. It is the investment in common factors of emotion Inouye confronts Rodriguez with what he tells him is arrogance and puts forward the suffering he is responsible for in his presence and continual ministry to the faithful. As every religion it is met with its own downfall through separation. It is also the perpetrator of division in areas it succeeeds in bringing nations forward with it. Be it imperialist Great Britain and the Church of England, The Demagogues of Jewish religions in Israel leaving behind the Judaism of their faith, the Catholicism spread as universality while being the foremost hierarchical assembly of Faith preserves on the panet. China and large parts of Africa have no ‘established’ church and few places in Western civilisation have no presence of other than ‘established’ church which all secondary non-established non credal and non sectarian religions are supplanted minor followers in the body faith inherent in human kind. For this cinematic portrait to succeed as story and story it is, it has been based on the 1966 novel by the Japanese author Shusaku Endo, preceding it and priding that is a level of construction fictionalised through small written texts remaining of the whole failed attempt at Christianising Japan. Throughout I had a concern regarding the playing of Rodriguez and Andrew Garfield for me lacked credibility in his emotional regard and over involved in lingering looks and stopping his facial expressions as footprints of emotion – frozen faces I call them – not acting is not acting it’s real? – instead of the dexterous and malleable and at times throughly surprising for me who was not a great AD fan, sings and laments as every inflection and word craft is used in its strength ultimately due to the well crafted script into reaching out to the audience to be illuminated in the intensity of meaning. It was thoroughly old school in performance terms and in itself the Japanese and our own duo of Cairan Hinds and Liam Neeson invoked acting as a craft and art form that is very thin on the ground in a lot of modern films. Meryl Streep has stood up at the Globe Award ceremony having a set delays stab at Donald Trump while her curios Albert Nobbs or Florence Foster are not in my view ‘acting supremacy’ – the kind of performances we see too often and the yet Meryl Streep gives in to the trope of being a character actor in the way Glenda Jackson never could nor does/did. It will be sometime before it is realised how important this film is in the Martin Scorsese filmmaking library. Before have come works of dramatic historical and societal challenge. Each constructing a view of the world based on real events and characterisations of the stories they inhabit. This is no different. The Last Temptation of Christ took on a historical figure and the most significant of all and he layered his own telling of the quest within the Bible to his own imagined extrapolation. It formed a huge divide in opinion as it was partially construed as sacreligious and wild imaginary diversions not appropriate to understanding. Given the Protestant claim at the time of Erasmus and the reformation as belonging to the Mother of Jesus born of a young woman as the Bible actually states, not the Virgin Mary extolled by the Catholic Church, the pRotestant faith claimed itself to be more Catholic and since the division erupts from time to time. On the origin of Jesus religions bent and twist. Aristotle included. The ultimate repost is – What is important? The baby Jesus being the child of God or Mary as the Mother of Jesus. Provide your own analysis but it is plain what faith resides in. The film captures so many levels of understanding it would serve many to examine the questions which Martin Scorsese provides elements which concern mankind and the search for truth and peace among mankind. So it not only looks superb and atmospheric depicting a very beutiful, intensely civil, complex and challenged Nation, – except the filming takes place in America/Taiwan/Mexico – it shows all sides of the existence of humanity and questions versions of our origin and ultimately challenges all to consider our creator and our need to fulfill the morality and lawfulness of rational organisation of our life’s and sustaining time. It is a film which is calling people to listen, hear and be enlightened.